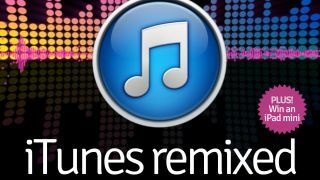 iTunes remixed in tech. issue two - out now! Tech fans looking for an amazing bargain and a way to cut through the tech chatter should get themselves a copy of tech. issue two. You can still get five (count 'em) issues free if you sign up for the annual subscription which is a penny under twenty quid in the UK or $28.99 in the US, with this week's issue headlined by the arrival of iTunes 11. And when you download the issue, turn up the volume to see just why magazines and tablets are the best combination since chicken and bacon. Awesome interactive cover aside, you'll also get a look at the OUYA gaming console, an update on Surface Pro and a discussion about those people naming their newborns Siri. Not enough for you? How about Google Play v iTunes Match, a look at the most famous vapourware of all time and reviews of the Nook HD, Galaxy S3 Mini and Canon PowerShot G15. Editor of tech. and TechRadar stalwart Marc Chacksfield explains: "Each week we select the need-to-know technology stories and offer up our own insight while highlighting the web's sharpest writing and smartest opinion." The issue costs just 69p/99c and with Santa sniffing round for awesome presents for technophiles we reckon you might well be suggesting that all you want for Christmas is an annual subscription (and did we mention five free issues to boot?). Download the new issue of tech. from iTunes now.